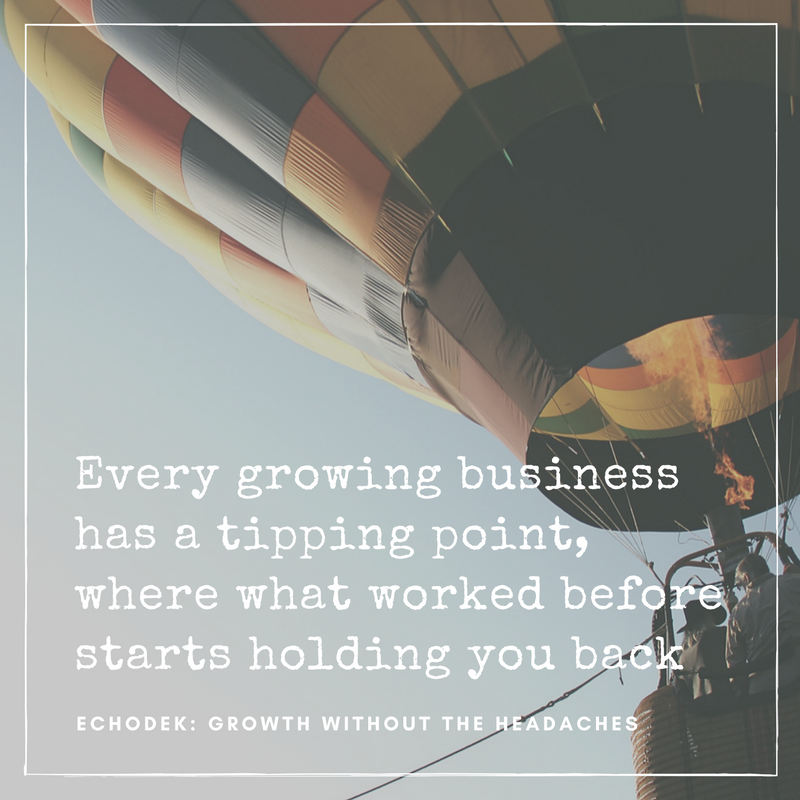 Every growing business hits a tipping point. What works for you alone doesn’t work for a team of three. What works for the three of you doesn’t work for ten of you. What works for a team of ten doesn’t work for a team of thirty. Sometimes you need to take a step back and adapt what you do to meet your new situation. One of my clients hit a period of growth and as a result, they fell behind on their invoicing. Most invoices were pretty easy to figure out – they had a recurring, monthly subscription business (which is great). But when their customers changed plans or, more importantly, added new services to their account, the invoice needed to include a pro-rated amount at the end of the month. Nothing to worry about when it happens once a week. Something to think about when it happens every day. A drag on your time when it happens several times a day. So we built a billing system for them. If the customer wanted to change their subscription, downgrade or add new services, the billing system figured it all out for them. On the first of the month, it generated the invoices and emailed them out, then posted them directly into the accounts package. And it even connected to Paypal and withdrew the money and placed it in their bank account every night. Freeing up the staff time so they could concentrate on more important matters. Like bringing in new customers.